The year 2014 marks the centenary of not only the outbreak of World War I but also the establishment of the Red Cross Society in Australia. Within days of the outbreak of the Great War in August 1914 a branch of the British Red Cross Society was established in Australia. This was the vision of Lady Helen Munro-Ferguson, wife of the Australian Governor-General who quickly established the national headquarters, along with dispatch and sorting rooms, in the ballroom of Government house in Melbourne. Lady Elsie Goold-Adams, wife of the Queensland Governor, soon took up the cause and with her husband as founding patron of the Queensland division, encouraged district branches to form across the state. The whirlwind of imperial patriotism that spread across the British Empire influenced the spread of the Red Cross Society in Australia as women enthusiastically came forward to do their duty for the war effort. 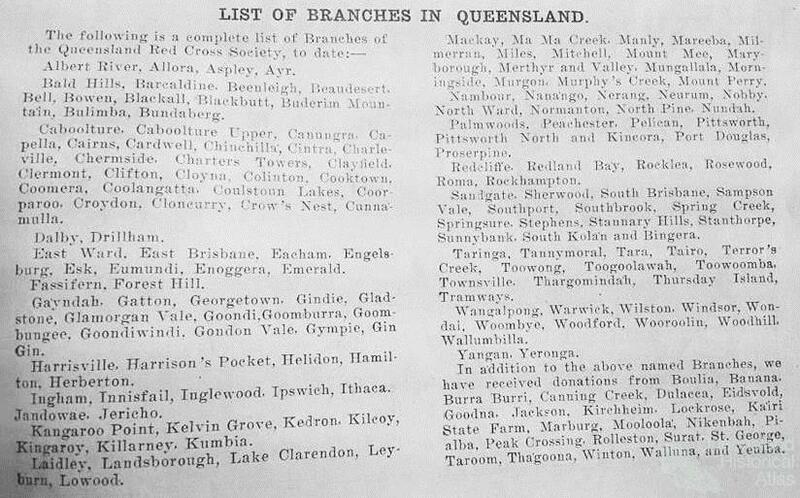 Astonishingly within the first month of the outbreak of war, 196 branches were established across Queensland. The phenomenal speed with which local branches were established shows the way in which the ideology of the Red Cross and patriotism for Empire travelled throughout Queensland. 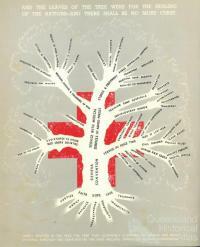 The speed with which branches were established across Queensland shows the impact of the ideology of the Red Cross Society. This was a spread of ideas through the Queensland landscape. Queenslanders, particularly women, across the state wanted to feel they could contribute to the war effort from the home front. The vast size of the state of Queensland meant the equally vast geographical distribution of Red Cross district branches. From Esk in south-east Queensland to Thargomindah in the south-west, Boulia in the central-west, Normanton in the Gulf of Carpentaria, to Mareeba in the far north of the state and even Thursday Island in the Torres Strait, Red Cross branches were to be found across Queensland. In an era before domestic air travel, mass car ownership and even the completion of the state’s rail network the ideology of the Red Cross spread across the Queensland landscape. The work and structure of the district branches themselves adapted to their locations. The district branch of Cloncurry was so remote, 770 km west of Townsville, that the price of material to sew garments for soldiers was prohibitively expensive. Instead the 35 local members collected money donations to send onto Brisbane. The branch in Mackay experience difficulties in 1918 due to the railway and shipping strikes which were compounded by the passing of a cyclone meaning the branch had to go into recess for several months. Cairns was a large and very active branch which owing to the lack of a rail-line to Brisbane spawned a number of sub-branches in the region whereby goods were sent firstly to Cairns before being sent collectively onto Brisbane by steamship. Despite this impressive geographical spread the majority of branches were located in and around Brisbane. 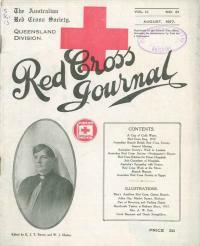 The Red Cross Society itself made a distinction between the country and Brisbane branches in its monthly reports. Branches in the Brisbane area were usually established in middle class suburbs like Toowong and Clayfield as well as working class suburbs like South Brisbane and Nundah, there being no apparent class segregation within the Red Cross Society. The Queensland division established its headquarters in Brisbane and in so doing took over the bottom three stories of the Inns of Court building at 409 Adelaide Street in the city centre. Women in starched white dresses with hand printed red crosses upon their breast replaced grey and black suited solicitors and barristers. The headquarters became the central point of the Queensland division connecting all the far-flung district branches. Considering the headquarters building itself we can see it served both a functional and symbolic role as the centre of the Red Cross Society network in Queensland. The building was a hive of activity receiving and sending consignments of goods as well as opening its doors to members of the public and returned service personnel, who were encouraged to visit. As such the large red cross over the depot door and constant coming and goings meant the building itself created a symbolic space in the war-time Brisbane cityscape that sat apart from the political, social and religious tensions that were at play during this era. 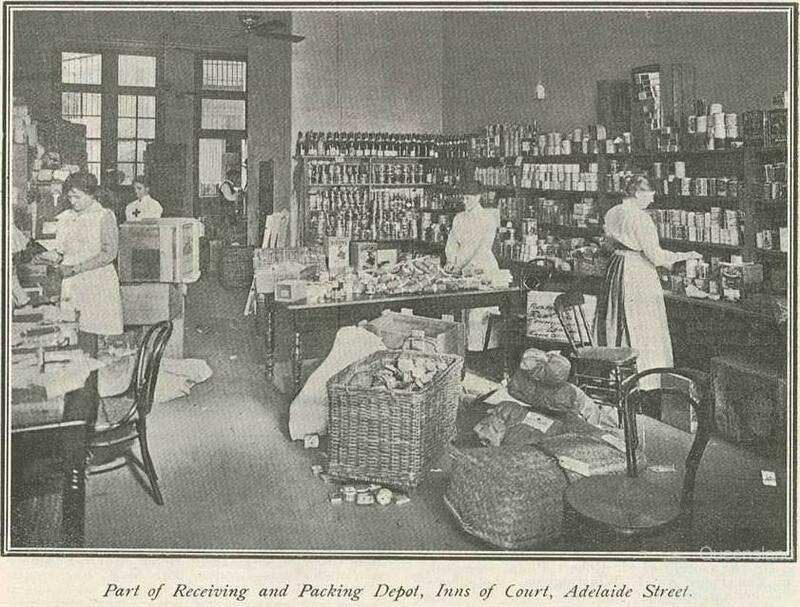 Goods sent from far corners of the state flowed into the Adelaide Street headquarters, while copies of the Red Cross Magazine, as well as fabric and wool, were distributed outward across the state back to the many branches. While the magazine was sent out via the postal routes, goods being sent inward to Adelaide Street were sent via the volunteer service of couriers along the roads, rail and steamship routes to Brisbane. All these goods followed the reverse radial motion from the edges to the centre, sometimes in a two stage motion as was the case with the sub-branches of Cairns and Rockhampton which were the centres of their own local networks. 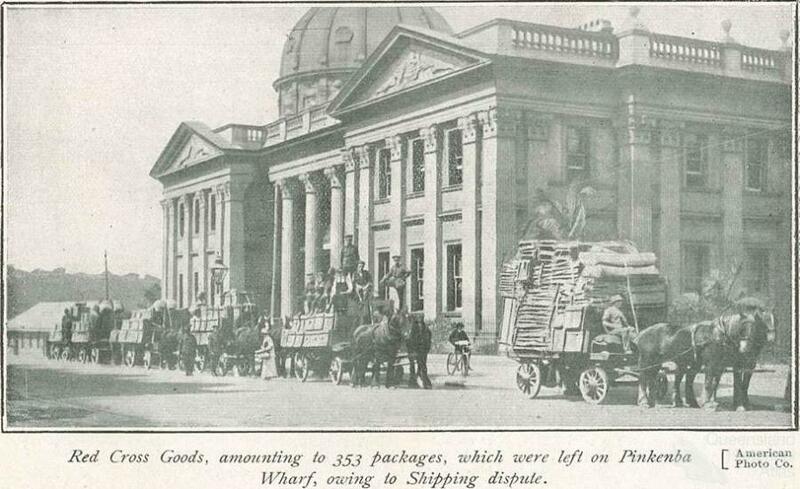 The goods donated by branches came in many forms packed into cases, parcels, bags, bales and bundles to make the journey to the Adelaide Street depot. These goods were either classified as ‘gifts’ or ‘returned work’ being garments manufactured from fabric and wool sent out to branches. Cash donations were very common often being the proceeds from luncheons, afternoon teas, concerts and raffles as well as the sale of badges. In 1915 several branches raised the considerable amount of £450 to buy motor ambulances to be sent to the front line. Clothing such as pyjamas, flannel shirts, socks and balaclavas were in high demand by the Red Cross until 1917 when demand shifted to the need for non-perishable foodstuffs such as tinned cheese, fruit cake, condensed milk and beef essence to supply prisoners of war in Germany. Handkerchiefs, soap and cigarettes were always in high demand for use by soldiers at the front. Medical supplies, such as cholera belts, slings and sheets, were also needed throughout the war to supply both the military local and field hospitals. Current editions of Queensland newspapers also remained in high demand for the reading pleasure of soldiers who particularly sought copies of The Northern Herald. However, some goods were not welcomed by the Adelaide Street depot; soiled clothing or sheets were rejected as were shirts with black collars as, although fashionable, the dye could cause blood poisoning in the unsanitary environment of the trenches. All these goods carved out pathways through Queensland to converge upon the Adelaide Street headquarters. From Adelaide Street goods were dispatched to either England for distribution, straight to the front line in France, or to field hospitals located in Egypt, Greece, Bombay and Raboul. Shipping and cargo insurance was initially provided free of charge due to agreements made by Lady Munro Ferguson, however, by 1917 shipping became an issue for the Queensland division as companies could no longer afford to provide this free service. Red Cross shipments leaving Brisbane were charged £5 per ton, a charge which almost prevented the all-important 1917 Christmas comfort boxes being dispatched. Goods were instead sent to the Victorian division to be dispatched from Melbourne, which at this time enjoyed an arrangement with local shipping companies of a 55 ton free shipping allowance. 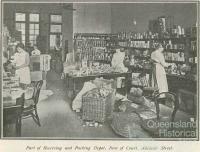 Goods and care parcels sent abroad travelled across the globe continuing their pathways beyond Queensland into the hands of grateful Australian soldiers and nurses. 'So imagine how grateful we are that there is a Red Cross supply to fall back on for clean pyjamas and sheets' wrote Nurse Baron in a letter to her mother, a volunteer with the Oxley Red Cross Branch. She was voicing the gratitude of nurses at No.3 Australian General Hospital on the Greek island of Lemnos for the regular supply of Red Cross consignments. The goods required of the Red Cross followed the developments of the war as money for the Belgian relief fund was significant during 1914 and 1915. By 1917 providing supplies for Australian prisoners of war became the focus of the Queensland division. Prisoners of war in Germany were prohibited from receiving parcels, only those sent by the Red Cross via London were allowed, however, the contents were restricted as Germany was heavily blockaded. The Queensland Division made 1000 lbs of ‘special biscuits’ dispatched for consumption by prisoners of war in Germany. The biscuits had to first pass via Melbourne to obtain guaranteed free shipping, then to London where they were repackaged and sent onto Germany via courier as the ordinary post did not deliver to the prisoner camps. The journey of these humble Queensland-made biscuits followed a pathway from the kitchens of Red Cross volunteers to the mouths of Australian troops held captive. A small number of these biscuits made an onward journey in the pockets of two Australian soldiers who used them as rations when they escaped from Fredricksfeld camp in 1917. 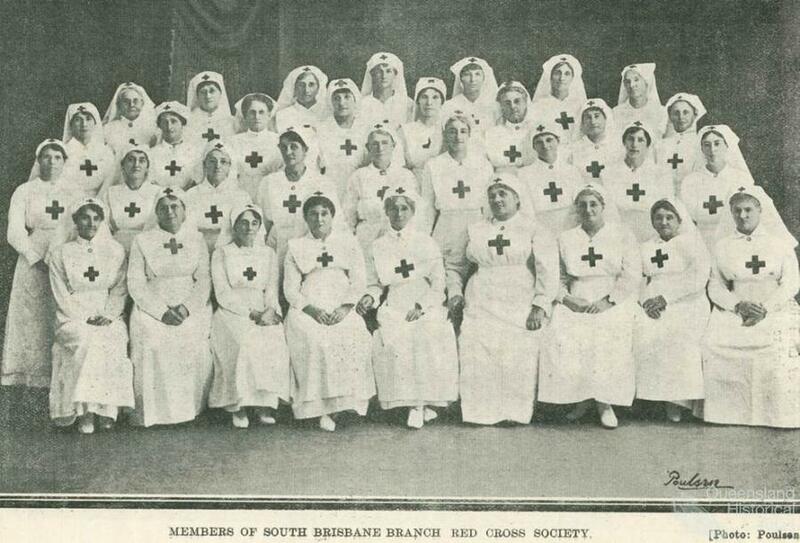 The Red Cross was largely viewed as a women’s organisation with the majority of its members being women. Apart from a few men employed in Brisbane to do heavy lifting during the dispatch of goods, all Red Cross workers were volunteers. 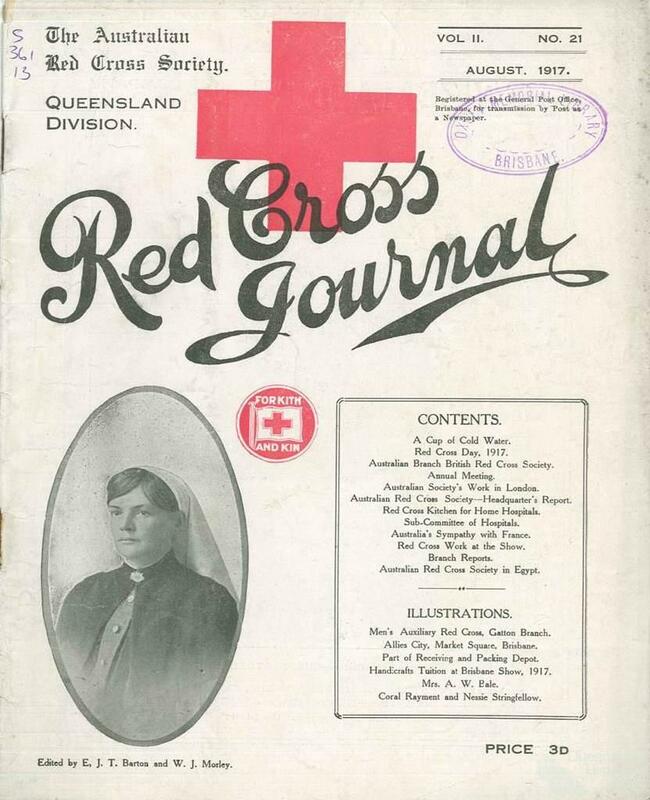 Queensland women who volunteered for the Red Cross had a relationship not only with the ideology of the organisation but with how this organisation was tied to their sense of place on the home front. The numerous Queensland branches were not only far from each other but also far from the Queensland soldiers and nurses serving in Europe and the Middle East. Volunteer work for the Red Cross enabled these women to interact indirectly with and assist those in military service. In the early years of the war some branches went as far as to earmark clothing and supplies for specific regiments as a more direct way of interacting with their loved ones across the distance the war created. Women also left their mark upon the Queensland landscape as not only being recognised for their capability and hard work but also physically. The white skirt, apron and cap of the Red Cross volunteers emblazoned with the Red Cross symbol would have become a common sight in suburbs and towns across Queensland. Group photos of various branch members show the way in which the Red Cross symbol would have stood out in environs through which these women walked and worked. The Australian Red Cross Society shipped £1,522,000 worth of goods to troops and field hospitals in Europe and the Middle East during World War I. In 1919 after the end of the war, Lady Munro-Ferguson at the national annual general meeting praised all the Red Cross volunteers for their dedication and urged them to continue their work in peace time. Lady Munro-Ferguson saw the valuable work done by the Red Cross branches as representing a ‘golden thread of greater purpose’ that went beyond war-time commitments. After one hundred years, the Red Cross still makes its mark upon the Queensland landscape as it aids the victims of floods, cyclones and economic hardship.